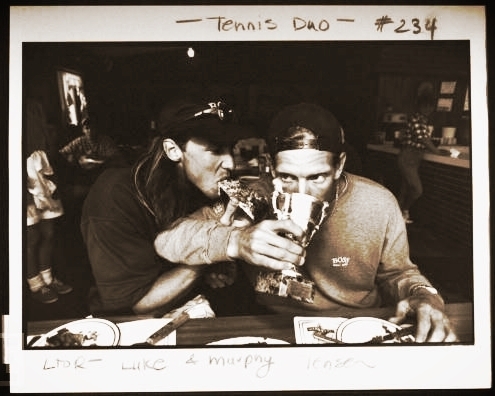 Murphy is a former French Open Men's Doubles Champion, a coaching-guru and the life of the party. Book him to bring his tennis experience, infectious energy and enthusiasm to your event. Create a custom coaching experience for your event or group. Coached Serena and Venus Williams, Martina Hingis, Leander Paes, Sam Querrey, Kevin Anderson, Denis Kudla, and the Rodionova sisters. Corporate Team-building: I will share my philosophies of success while on the ATP Tour as grand slam champion & 6-time World Team Tennis Championship Coach. I also share my beliefs on leadership and building a successful team: setting goals as a group, protecting and trusting one another while honoring individual strengths and talents. Coaching & Strategy: Stories and strategies from the road as Head Coach of the Washington Kastles- how did I get superstars Venus and Serena Williams, Sam Querry & Martina Hingis to play as a team and fight for victory night after night? Goal Setting: Extreme achievers believe that anything is possible and they dream big. Iconic performers out-work, out-dig, out-grind and out-believe their competition.